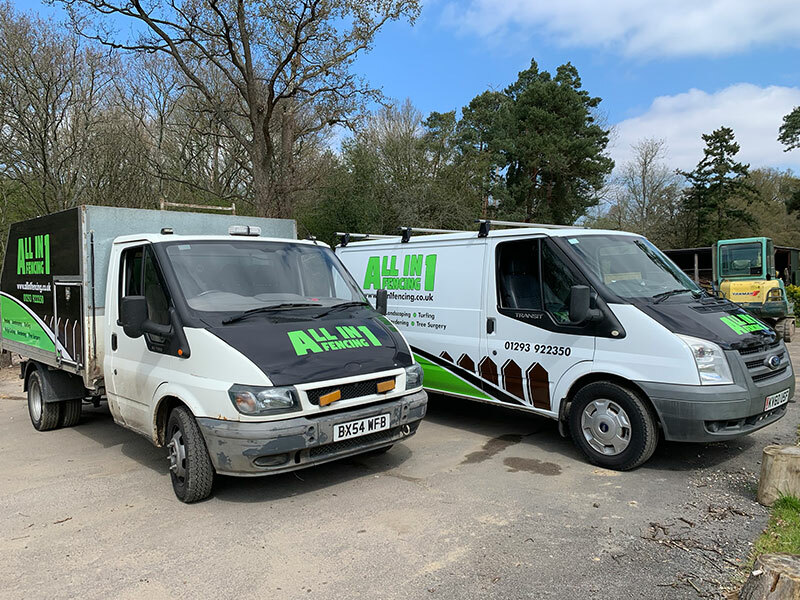 All in 1 Fencing Ltd was incorporated in 2018 with the idea of being the leading fencing contractor across Surrey and Sussex. With years of self-employed fencing experience, we know the importance of good quality work and have always delivered this. Our team is built from specialists in the industry and we are rapidly growing to become the leading fencing contractor. Whether you are looking for a few panels or a large project, contact our team to find out how we can be of help. We are on Checkatrade and Facebook so if you want to see recent projects or news, please feel free to check there. Very friendly staff. They kept the place tidy and and were very professional. The quote was very affordable and the work carried out was of very good quality, thank you! When it comes to deciding what fence you are looking to get, it’s important the quality of fence is also taken into consideration. With so many years experience in the fencing industry, our team know the best source of fencing in the area and always go for high quality panels over cheap products. You can trust that when using All in 1 Fencing, you are guarenteed a long lasting fence. Find out more.